The wizard will direct you to the first step in the process. Don’t worry if you don’t have time to complete the setup now, you can come back to it at any time. You will also receive a confirmation email containing the URL and login information. Save this email for a later date in case you don’t remember your Hour Timesheet site URL. Timesheet Type – This is the timesheet period. Your options are weekly, biweekly, semi-monthly and monthly. Start Day of the Week – This is the day of the week that you would like your timesheet to begin on (Sunday, Monday, Tuesday, etc). Start Time – This is the start time of the day. The default time is set to 12am. Capture reason for any changes made in previous days time (check box) – When this box is checked, users will be prompted to insert a reason for editing a prior days timesheet or failing to enter time on the current day. NOTE: This box should be checked for DCAA compliance. Hour Timesheet will sync (import and export) data with your QuickBooks Desktop account using the QuickBooks Web Connector . To sync your data, you will need access to your login credentials for your QuickBooks Desktop account. You are now ready to select which data elements you will need to collect timesheet data against. 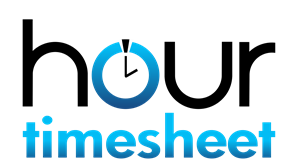 Hour Timesheet will import Employee data by default (no check box required). You also have the ability to import Customer/Jobs, Payroll Items, Service Items, Classes and Vendors. Place a check in the box next to the data that you would like imported from your QuickBooks Desktop company file. The QuickBooks Web Connector is a software application that runs on Microsoft Windows that enables Hour Timesheet to exchange data with QuickBooks Desktop. Download the Hour Timesheet QuickBooks Web Connector Installer File. (link provided in wizard). For detailed installer instructions, click the knowledge base link below. Upon successful completion, the Hour Timesheet Setup Wizard will change the connection status on the screen to Connected and the Next button will be active (you can click it). Note: Once the import process is complete from QuickBooks Desktop a confirmation e-mail will be sent to you. By default, you will only be given the Admin role. If you are also an end user and need to complete a timesheet, select your name in the box below. This process will give your username the employee role.